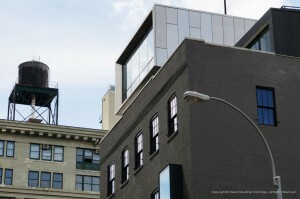 Alloy won the Landmarks Commission’s very enthusiastic approval for Dumbo’s first townhouses earlier this month, and now there’s more good news for the development/design team: another of their projects, ten enormous loftsat 185 Plymouth Street, are already 80 percent sold less than a week after they were approved for sale, without ever even being listed publicly. Alloy tells us that they actually received offers on all ten of the units, but decided to hold off on selling the two penthouses, which are now asking $3.4 million (#PHN) and $3.95 million (#PHS). Floorplans (and some cool before pics) are available on the building’s brand new website.